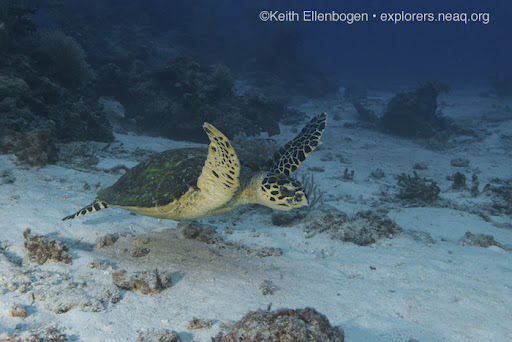 This is a guest post from 2010 Joint Aquarium Fiji Expedition Team Member Stacy Jupiter. She is the director of the Wildlife Conservation Society's Fiji Program. She is also a a Massachusetts native who volunteered in the New England Aquarium Fishes Department in 2000 as part of the Nyanja! changing exhibits team and she was a 2002 intern at the Monterey Bay Aquarium Research Institute (MBARI). "i wai, i wai- i vanua, i vanua"
As we descended into the deep blue of North Save-A-Tack Passage, the specters of schooling great barracudas slowly came into focus through the slightly murky water. Then came the jacks, in groups of hundreds, clustering together and breaking apart to yield to the king of this reef, the grey reef shark (Carchirhinus amblyrhynchos). The sharks have returned to the Namena Marine Reserve. Back in 2001, members of a Nai'a expedition were horrified to see shark fins hung out to dry on the coconut palms of Namenalala Island, despite the fact that the chiefs of Kubulau District had banned commercial fishing from the area in 1997. In 2005, the communities decided to take more concerted action. With assistance from the Wildlife Conservation Society (WCS) and partner NGOs, the Kubulau residents agreed to establish a network of marine protected areas, covering reefs, seagrass and mangroves in more than 30 percent of their traditional fisheries management area. 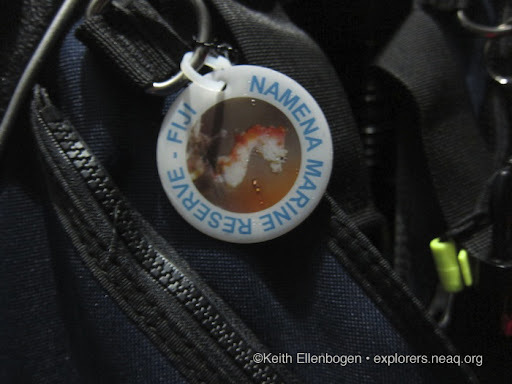 All fishing activities are banned in the main, large marine protected areas in Kubulau, such as the Namena Marine Reserve. 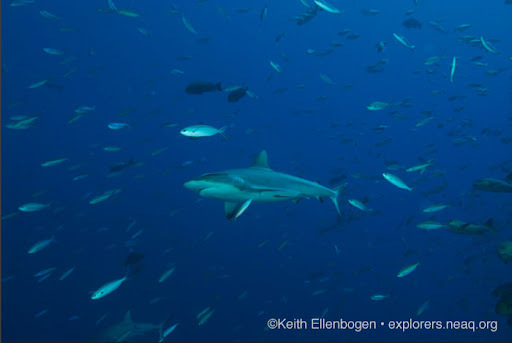 These closures are a safe haven for fish, which is particularly important for large bodied species such as sharks which may take a decade or more to reach reproductive size. So far the results are remarkable. Grouper and snapper size and abundance are significantly greater inside Namena than in adjacent fished areas. And sharks of many types (white tips, black tips, hammerheads and grey reefs) have returned in large numbers to feed on the abundant prey. The concept of marine reserves is not new to Fijians. For centuries, local people sustainably managed their natural resources from mountains to reefs by embodying the concept of the vanua, whereby people live in harmony with their land and adjacent seas. When fish populations became scarce, the chief would declare a tabu, or ban on harvesting, until the time that fish had recovered. A tabu could also be applied to particular totemic species, such as sharks or turtles. Each village in Fiji has a unique totem species from the ocean. In the past, strict punishments would be issued to anyone harming a totem animal as totems were believed to be ancestor gods. These practices, however, are fading with the introduction of Christianity and market opportunities offering high financial incentive for breaching cultural traditions. In the month of August, an interesting phenomenon occurs in the island of Navatu. This is the month of the annual Kula fish call. According to the Navatu people, the Kula fish is a type of fish that looks like cross-breed of a shark and a dolphin. They reckon it is not a very bright animal because you have to speak to it in reverse. During the month of the Kula fish call, when a fish is sighted, if the caller wants the Kula fish to come to shore, the caller will call out to the Kula Fish "i wai, i wai" which means "the ocean, the ocean" and the fish will head for the shore. And if the caller wants the Kula fish to go to the ocean, the caller will say, "i vanua, i vanua" which means "the land, the land" and the Kula fish will head for the ocean. The Navatu Islanders say that when the Kula fish is called, it will come all the way to shore and beach itself. Then the villagers will kill the Kula fish for their meal. It has been said that the skin of a Kula fish is so thick that a digging fork is required to spear it in order to pierce its skin. One Kula fish can provide lunch and supper for the whole village of Navatu for a period up to three days. 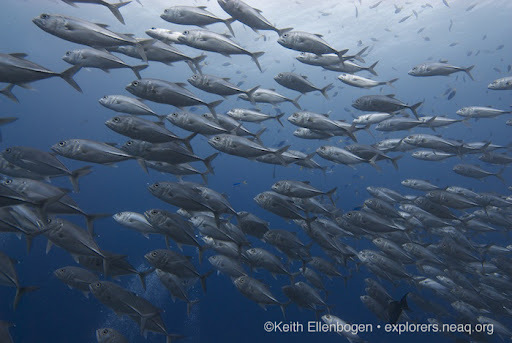 Traditionally, Kula fish were only killed at sustainable levels for subsistence use. When the villagers of Navatu had enough Kula fish to keep them fed for a period of days, they would tell the rest fish to go back to the ocean. Unfortunately, this practice of calling out to the Kula fish is not being used anymore. It is possibly because the oral traditions have not been effectively passed down. Or it may be because additional fishing pressure from outside interests has reduced the populations below critical level. WCS hopes that by reviving these stories they will once again be passed down through to remind the next generation how to care for their marine resources.